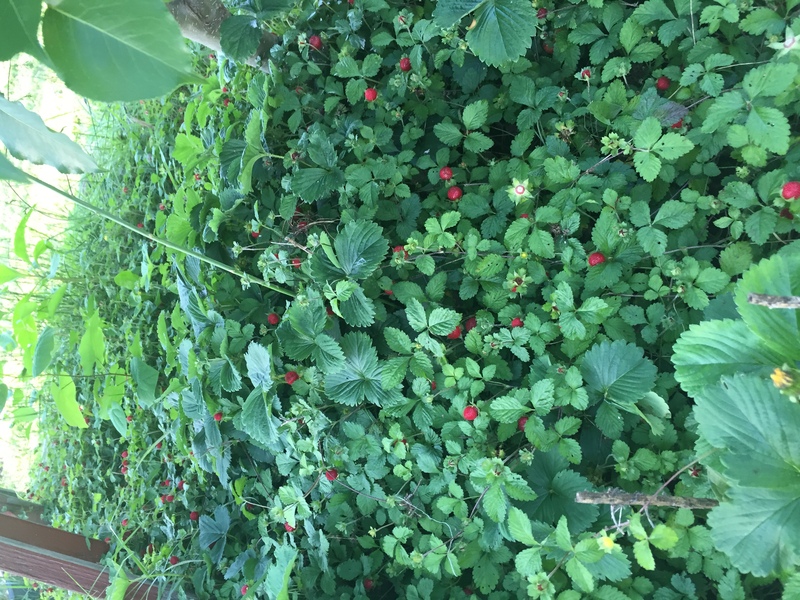 Gardens, Strawberries, and Poison Ivy, oh My! We’ve tried to make our own garden. – My favorite is strawberry plants. 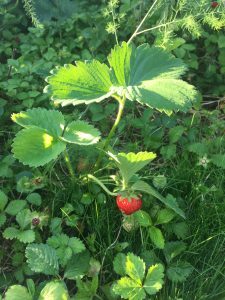 Some of our plants are wild strawberries and some are domestic. 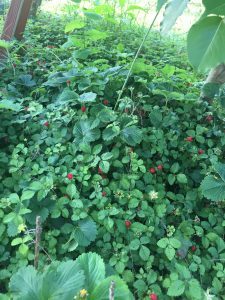 Growing up, we would go pick wild strawberries wherever we found them. 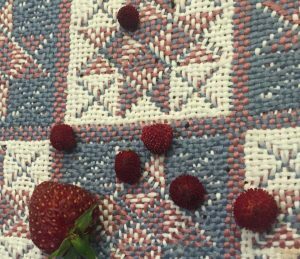 I remember a few times even ending up with poison ivy in a few interesting places from picking strawberries. 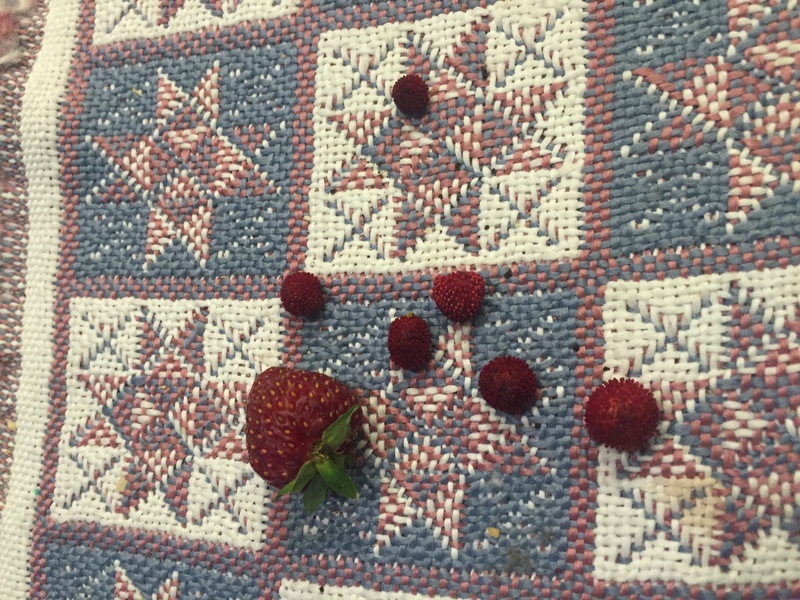 The wild strawberries are much smaller and have less flavor. 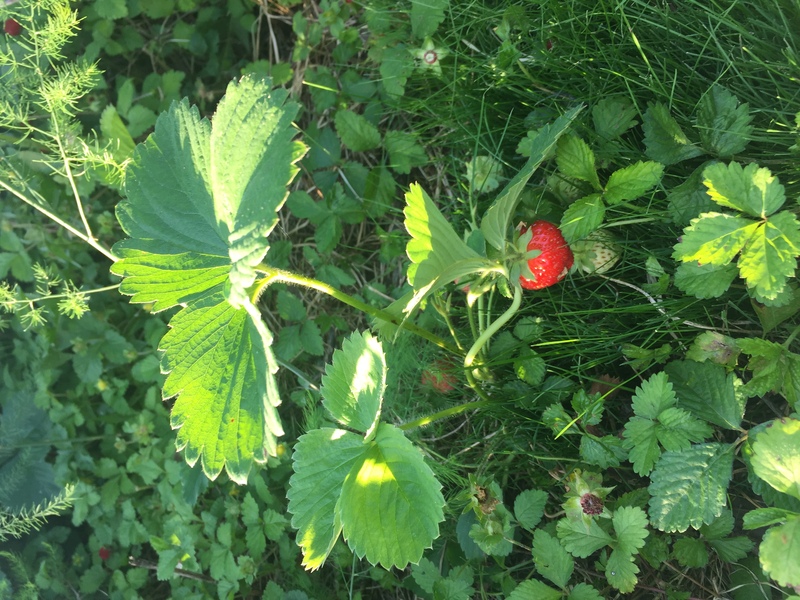 We currently have both wild and domestic strawberry plants growing in our back yard. Poison Ivy is leaves of three let it be. I don’t remember how many times I ended up with poison ivy growing up, but my dad had some inventive ways of getting rid of it. I remember days of soaking in the pool – because the chlorine bleach water will dry out poison ivy and dad’s favorite being putting gasoline on the spots. Being a farm we had the big gasoline tanks in the yard to fill the farm equipment, so going out to the tanks, we could just get a little gas and use it to dry up the poison ivy. 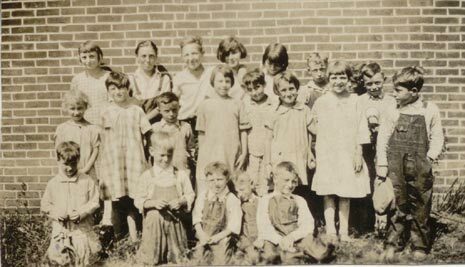 My dad seemed to be immune to poison ivy, but he would use the gas for other things – like washing grease off his hands. He did teach us that you don’t use gasoline to start a fire though – for that you use diesel fuel! I’ve heard stories recently about people eating poison ivy to make themselves immune… warning: this can kill you. Apparently some animals eat poison ivy and there are some people that do. A report in a medical journal though found that it can not be ingested for immunity and most people that try will end up with severe rashes in their mouth resulting in the need for medical care.